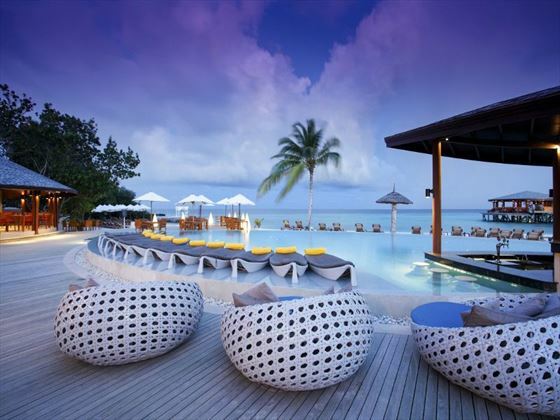 An intimate and romantic resort on a secluded island, Centara Ras Fushi Resort & Spa captures the luxurious essence of the Maldives. This adult-only resort is surrounded by paradisiacal scenery and offers sensational views of the sunsets for blissful vistas throughout your stay. Diving enthusiasts will be spoiled for choice by the fantastic opportunities here, with a PADI dive centre and a host of great nearby locations for the very best diving experiences. 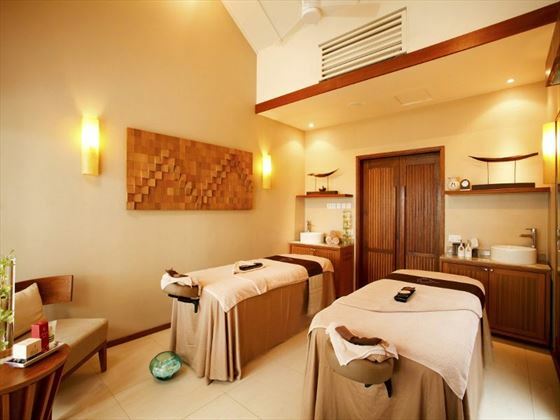 If you’re looking to indulge, the spa caters to more pampering activities which include authentic Ayurvedic treatments. The selection of restaurants and bars ensure that there’s something to suit every palate, from authentic Thai to Italian and Middle Eastern flavours on the menu. 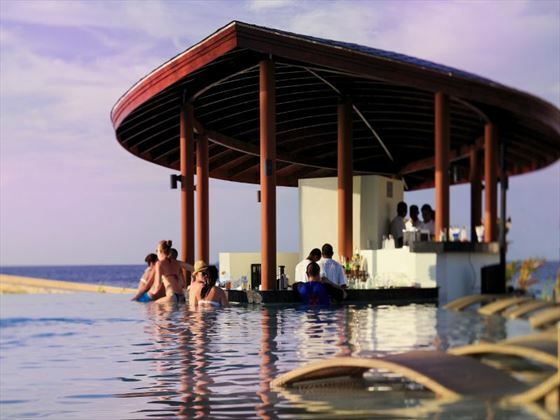 Unwind at the end of the day with a refreshing cocktail as you stargaze on the beach before retiring to one of the spacious and stylish villas dotted throughout the resort – the perfect retreat that promises a relaxed and stress-free holiday. 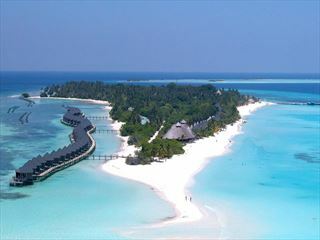 Centara Ras Fushi Resort is set on a small island in the Maldives, just a 15-minute speedboat ride from Male. Surrounded by breath-taking scenery of cobalt waters and white sand beaches, the location is ideal for diving and snorkelling. Nearby diving spots include Kiki Reef, Giraavaru Cave, Lion’s Head and Kuda Haa – these sought-after spots are just 20 minutes from the resort. 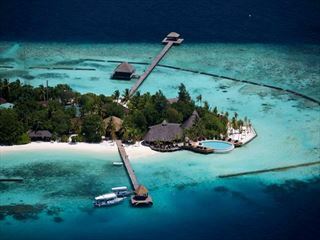 The resort provides 140 villas in total. 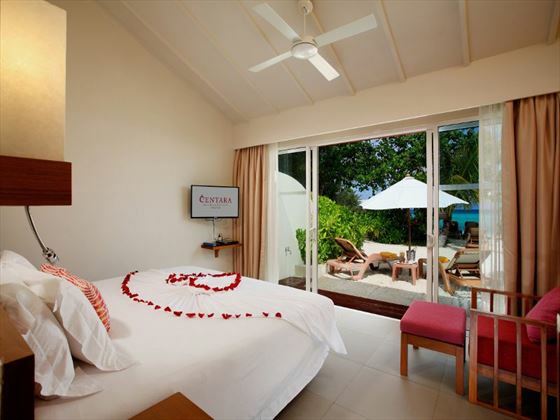 Oceanfront Beach Villa – Located by the lagoon, these beachfront villas include a sun lounging area, king-size or twin beds and a spacious bathroom. 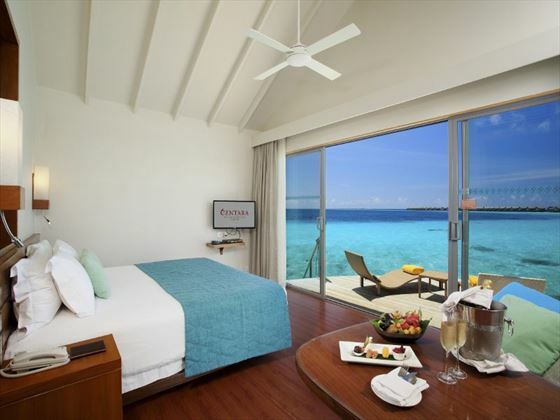 Deluxe Oceanfront Beach Villa – Larger than the oceanfront villas, these feature a sun lounging area, bathroom with an outdoor spa bathtub, king-size bed and amazing views of the lagoon. 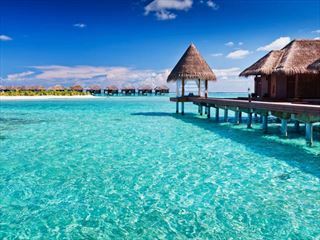 Deluxe Water Villa – Set over the lagoon with steps leading down to the water, these villas have a king-size or twin beds and a bathroom with shower. 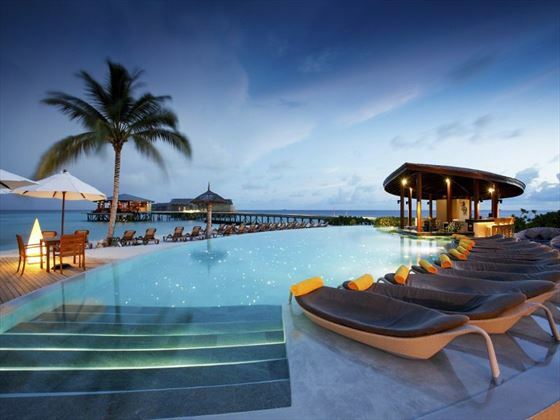 Deluxe Sunset Water Villa – Positioned perfectly for enjoying the beautiful Maldivian sunsets, these villas feature direct access to the lagoon with a king-size or twin beds and bathroom with shower. Premium Deluxe Spa Water Villa – Idyllic villas with a sun deck, direct access to the lagoon, outdoor spa bathtub and king-size or twin beds. 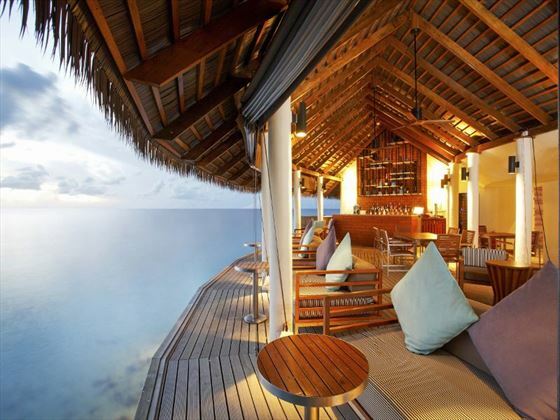 All villas accommodate two people. 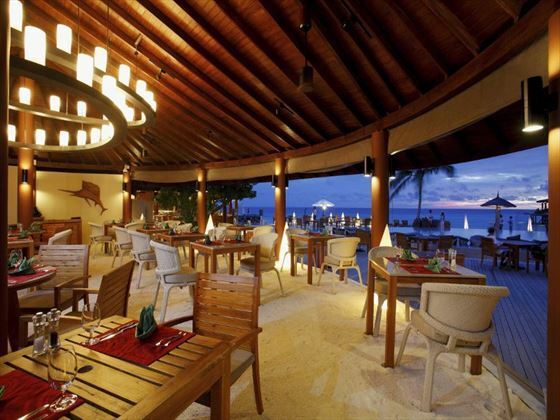 The resort also offers in-villa dining and unique private dining experiences upon request. *All meal plans offer the opportunity to dine in any venue within the resort, with all-inclusive guests able to take lunch in either the Thai or Italian speciality restaurants with a three-course Chef’s Set Menu which changes daily. If you’re looking to enjoy dinner in a speciality restaurant you will be offered an allowance of US$40 per adult per meal, which can be used against the Chef’s Choice menu (three courses priced at $40) or you may use it against the a la carte menu and pay the difference. There is no set menu at Al Khaimah which offers an a la carte credit of $40 and is open for dinner only. 3 dives per villa per week (up to 3 times per 7 days) as an alternative to spa treatment on selected days. 3 dives include 1 orientation dive and 2 regular dives limited to 45 minutes each. Each diver must be a certified open water diver or higher,. Stays of 5-6 nights include 2 dives. Stays of 4 nights or less include 1 dive. Please note that from April 2019 Diving will no longer form part of the All Inclusive entitlement. You are required to provide a valid Wedding Certificate or copy at time of booking and check-in. 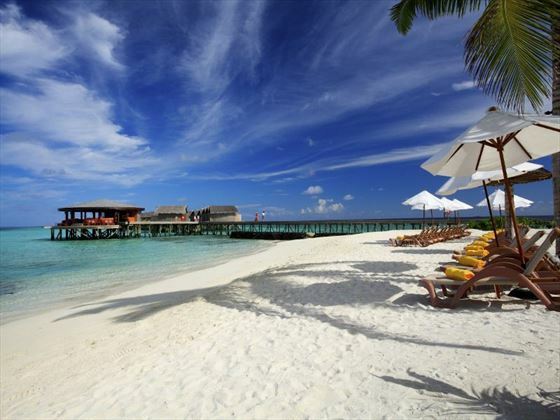 Honeymoons must be conducted within 12 months of wedding date.